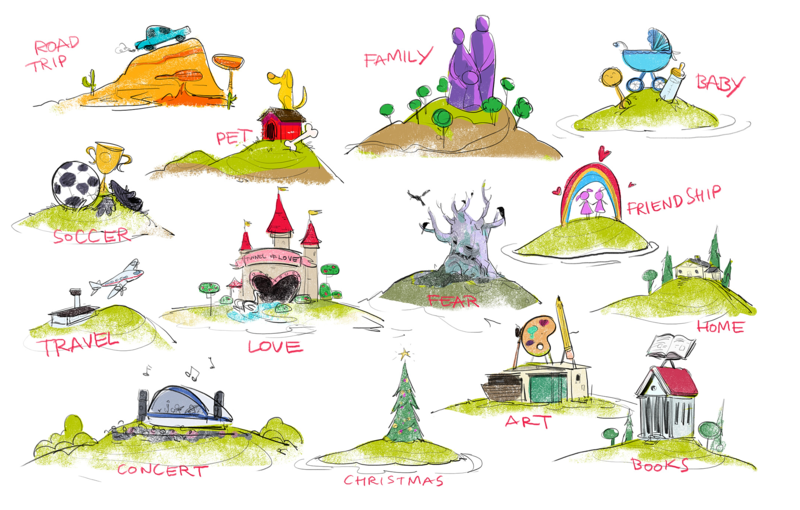 Will Wright, a creator of The Sims, SimCity, and Spore, and Unity have announced a new art challenge. The developer’s game dev studio, Gallium Artists, co-founded by Where in the World is Carmen Sandiego creator Lauren Elliott, is now developing its newest mobile game, Proxi. It is a simulation game being created in Unity which will allow players to build entire worlds from their personal memories. The Proxi Art Challenge, a 3D game art challenge hosted on Unity Connect, will let you create 3 environments based on your personal memories and get some cool prizes. Sounds awesome, right? To enter, you need to create three (3) personal memories represented by three environment scenes. Pick any three memories from your past that have a lot of meaning for you. All models created during the contest must be created by you during the span of the contest – you cannot use any models you have created previously. As well, your project cannot contain any models purchased from the Asset Store or any external marketplaces. All of the scenes must be rendered in Unity. You will also need to submit one (1) final video showing all the scenes rendered in Unity and labeled with the personal memory (e.g. family, pet, travel) they represent. Feel free to incorporate animations or sounds within your submission which you have the proper rights to use. You’ll also need to submit one (1) article explaining your modeling process – how you set up each scene in Unity, including the use of cameras, lighting, rigging, animation, sound, and post-processing. Make sure to add work-in-progress images, videos, and GIFs showing your creative process. In Proxi, memories are the building blocks of the world. They’re represented by piecing together 3D models to create different environments. For the Proxi Art Challenge, we’re challenging artists to turn their own personal memories into 3D game art. What memories you choose to create are up to you. We want you to express your creativity and personal experiences in your submission. The two grand-prize winners will travel to California to interview with Will Wright for a chance to work on his project! The contest will run live from March 19 to May 14, 2018.